RecycleReady Technology, invented by The Dow Chemical Company, bridges the gap between versatile barrier packaging and sustainability. With the traditional advantages of user convenience, barrier qualities, and leak prevention, this innovative type of packaging is manufactured with materials that can be recycled at pre-existing PE film recycle streams. RecycleReady Technology has already been implemented by Seventh Generation and will soon be incorporated in other companies that are looking to further sustainable packaging. 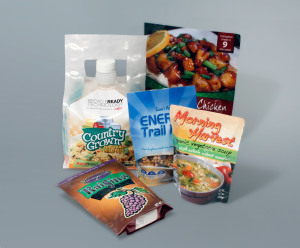 RecycleReady Technology is a type of sustainable packaging that lengthens the life cycle inventory of packaging. From original construction, to use, disposal, and rebirth, sustainable packaging lessens the environmental impact of packaging waste by increasing the longevity and usefulness of the packaging as a whole. Sustainable packaging preserves our ecology and increases the quality of society. RecycleReady film is constructed with multiple layers of poly-laminated polyethylene (PE/PE). 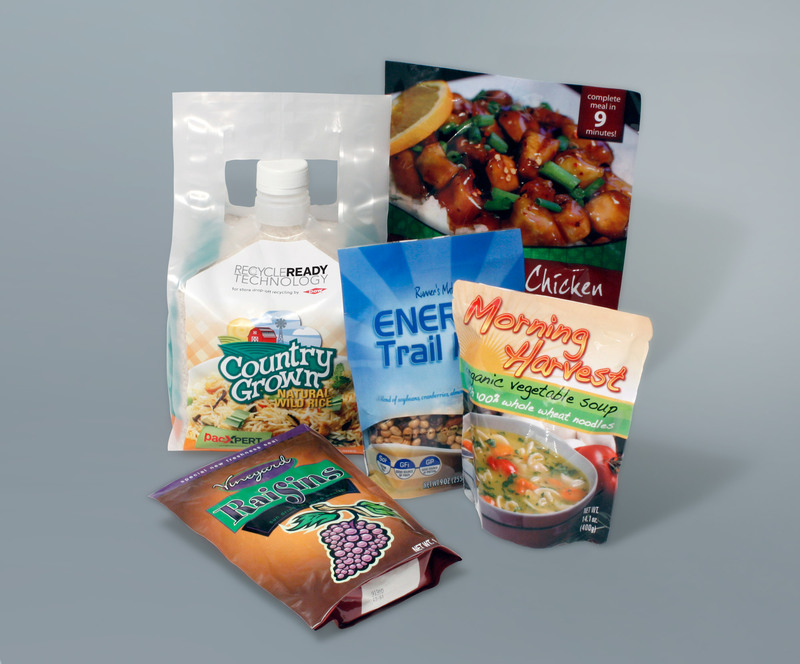 To meet the specifications of individual product packaging, it can be formulated several different ways. Each material and layer can be recycled without contaminating the recycle stream. Traditionally, many grocery stores, home-improvement centers, and department stores hold large containers to collect plastic grocery bags, shrink wrap and bubble wrap, film, and other packaging materials. These local store drop-offs also accommodate any packaging that has the How2Recycle logo on it, which includes instructions to appropriately recycle the packaging. The Sustainable Packaging Coalition (SPC) is responsible for qualifying product packaging to be printed with the How2Recycle Logo. The SPC represents retailers’ and manufacturers’ dedication to rescue valuable recyclables from going to a landfill. The coalition also educates consumers how to properly recycle packaging and where to go to find local drop-offs. 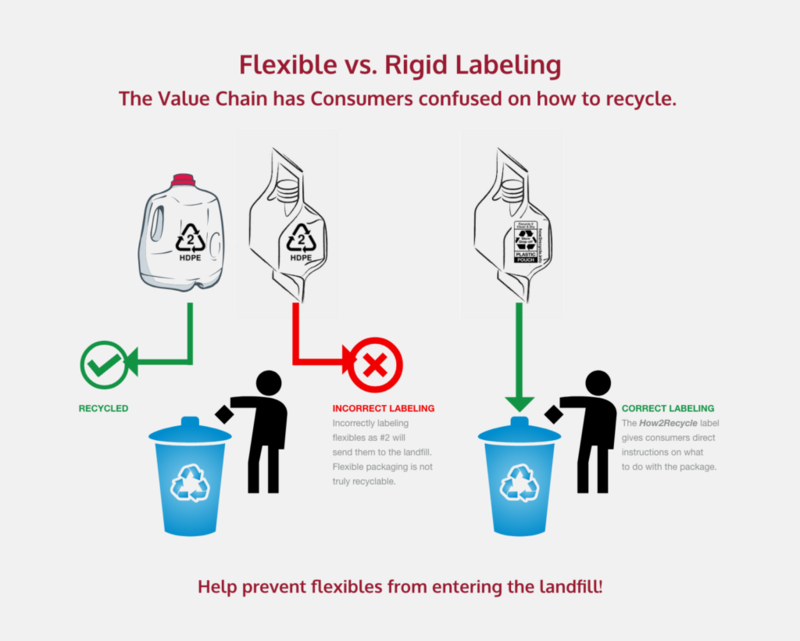 Packaging with RecycleReady Technology can be submitted to the SPC for approval to display the Store Drop-Off How2Recycle label. Once these plastics have been collected from local recycling drop-offs, they are melted down and re-formed into new items. For example, plastic jugs/containers can be reformed into picnic tables, plastic lumber, lawn furniture, and even recycling bins! Other plastics from bags and bubble wrap are re-used for decks, park benches, playground equipment, and fences. Plastic bottles (made from a different plastic than milk jugs) can become the plastic lining in jackets and even sleeping bags. Unfortunately, end-users in the US recycle only about 34% of their waste. Although most packaging includes explicit instructions how to properly recycle, realistically not many consumers take time to read the instructions. Without proper education, consumers may accidentally contaminate the recycling stream. Recycling centers will reject drop-off containers that contain non-recyclables and send it instead to a landfill. The packaging industry is striving to create a more accessible method for recycling to increase consumer participation.